Rachel and Kirsty must rescue Pippa’s petal before the naughty goblins get their hands on it. Pippa thinks it’s somewhere in the village flower shop – but can they find it before the goblins do? Pippa makes sure all the poppies in the world are in good condition. 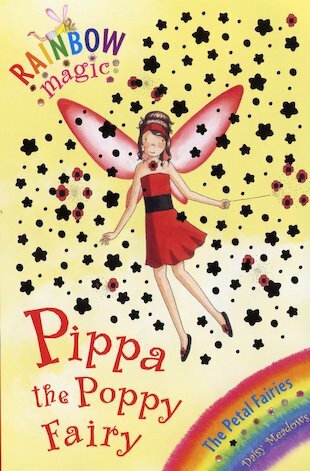 I want to read this and my granny loves poppy’s.Really Good! This was the first Rainbow magic book I’ve read!! I love Horrid Henry books to! !